NOTE: Like all APR and other widebody products on the market, this product requires extensive work, modification, prep and paint to look and perform properly. This is NOT an OEM product, fitment will NOT be perfect straight out of the box. We strongly recommend having this product installed by a body shop experienced in working with AFTERMARKET body kits and pieces. 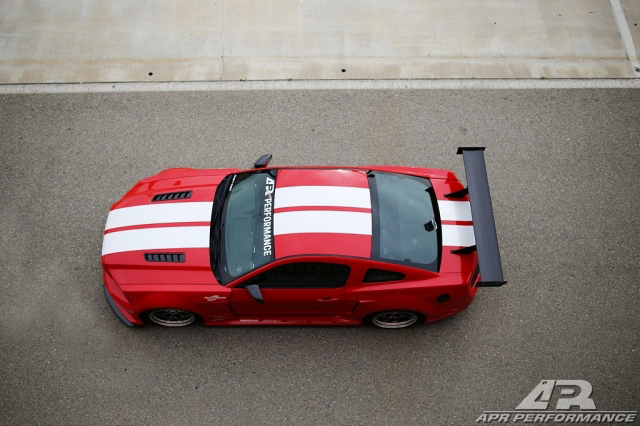 Images for this item depict an accurate representation of the APR widebody kit, properly installed by a professional with proper paint and optional accessories. 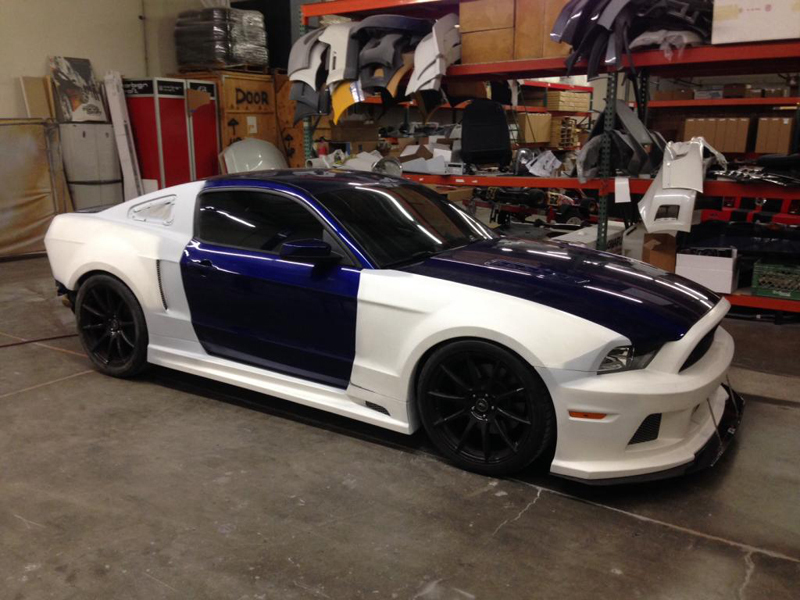 Make a stunning impression with your 2013-2014 Ford Mustang 5.0 paired with the APR Ford Mustang 5.0 GT Widebody Kit. 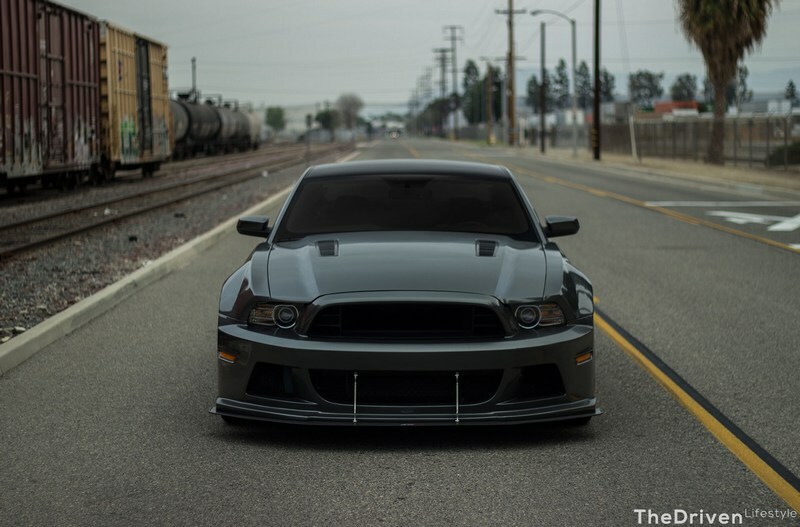 Featuring a 10 piece kit, APR helps to improve your Mustang's looks, handling and traction by adding an additional 50mm of width to the front and rear fenders (for a combined total of 100mm wider front and rear). With wider, gorgeous body lines, you are able to install front wheels sizes up to 20"x9.5" with 285/30/20 tires, and rear wheel sizes of 20"x12.5" and huge 345/25/20 tires providing a massive increase in both grip and braking power. Constructed of Fiber Reinforced Plastic, this APR kit is both lightweight and durable to provide enhanced aerodynamic performance coupled with long-term durability. 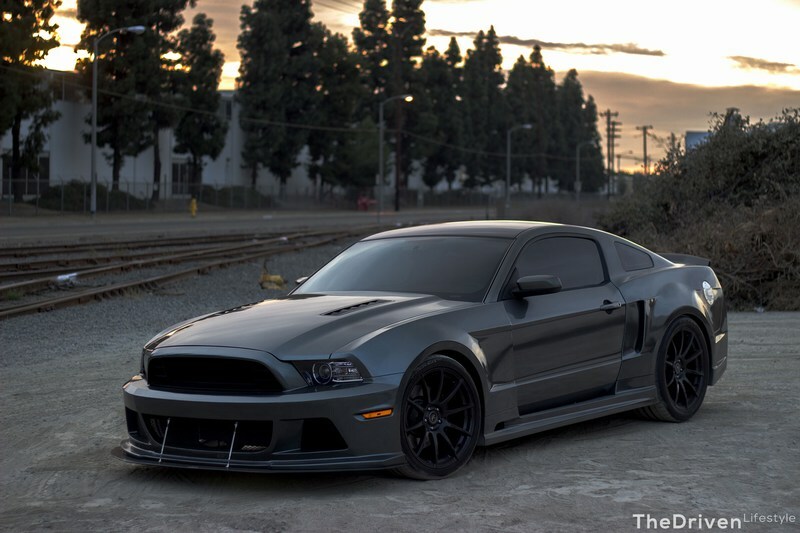 To complete the package, the APR Ford Mustang 5.0 GT Widebody kit includes a carbon fiber front splitter with a front undertray designed in for increased downforce and grip on the front wheels. The APR Ford Mustang 5.0 GT Widebody Kit will truly transform your mustang into a show-stopping, one of a kind vehicle-with spectacular looks to match its great performance. NOTE: Like all APR and other widebody products on the market, this product must be test fitted & prepped before installing it. Modifications are required such as trimming, sanding, filling, smoothing and painting the surface in order to achieve the best fitment and appearance. 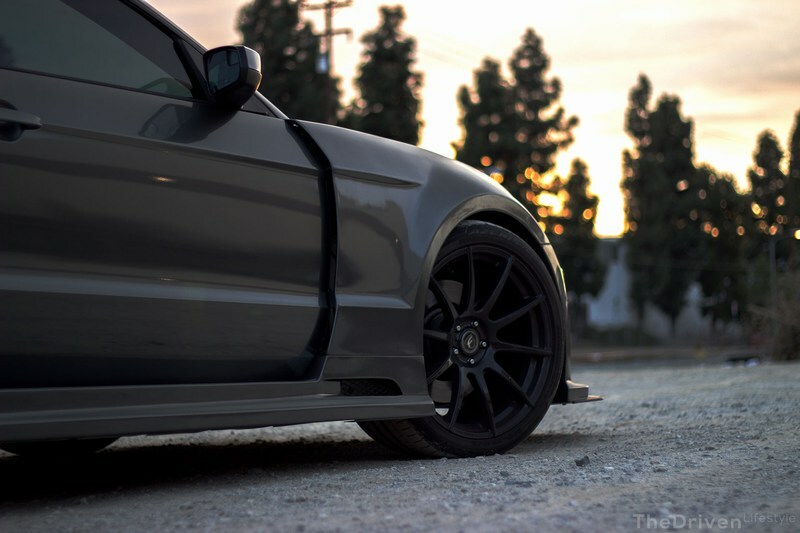 This is NOT an OEM product, fitment will NOT always be perfect straight out of the box. We strongly recommend having this product installed by a body shop experienced in working with AFTERMARKET body kit pieces, not a standard collision repair center that works on insurance claims. Images for this item are an accurate representation of THIS PRODUCT, properly installed by a professional installer. 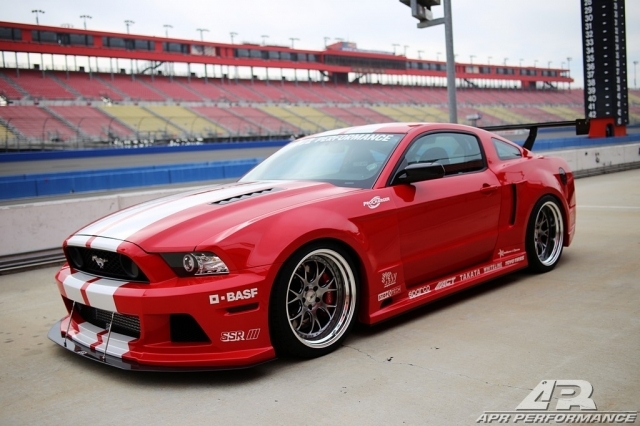 Questions about this APR Ford Mustang 5.0 GT Widebody Kit? Our Modification Experts are standing by and available to help you, online or by calling 714-582-3330.